Dillon Danis made his MMA debut two weeks ago and since it seems his trash talk is outshining his first round submission win at Bellator 198. Since some fighters are starting to address the uptick in trash talk coming from the fighter’s that are using the method to gain attention from fans which seems to translate well to their marketability. Trash talk in combat sports is not new. It’s been done in boxing, likely using the model from pro wrestling and the formula seems to work well to put people’s eyes on events and fill the seats in arenas. However, in mixed martial arts regardless of any fighters discipline the “martial arts” aspect of the sport seems to be threatened and sportsmanship along with honor seems to be fading when trash talk starts to become common practice. Is it really necessary to make a fighter popular? Fedor Emelianenko is always brought up in the “greatest of all time” conversation and he is known for not saying much. His performance and wins are what put him in that category. Often times the response from fighters that don’t trash talk say something along the lines of, “I do my talking in the cage,” and they usually do. Brian Ortega and Neiman Gracie both addressed trash talk and how they feel it negatively impacts the sport. In an interview with MMA Junkie Ortega said, “Everybody is trying to be like Conor [McGregor], you can easily see, you can tell by the way they go in there, you’re just like, ‘Come on. 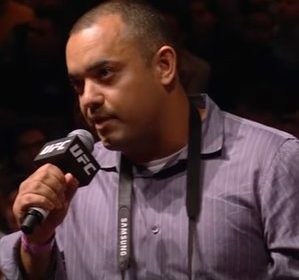 Shut up.” Gracie was on the MMA hour earlier this week where he addressed issuing a challenge to Danis. Gracie said there is some rivalry between their gyms but fans are calling for him to “humble him [Danis] out.” However, Gracie is simply just issuing a challenge even though he keeps being told to exercise some trash talk of his own but Gracie refuses. “I won’t change who I am because of money,” said Gracie. “My mom raised me as a man, not a prostitute. I don’ know him, I have nothing against him, I just want to fight him.” He went on to say that MMA is on the wrong path and that fighters should try to be more positive role models like Frankie Edgar and Demian Maia. Regardless of what works to get a fighters name out there, it does not look like trash talk will disappear anytime soon. But with the undefeated records both Ortega and Gracie are currently touting, maybe they can make being positive individuals in the sport that rack up a lot of wins, just as popular as using trash talk.